Locality: United States, Colorado, Moffat, Growing on N side of Moffat Co. Rd. #12; 350 ft. W of Douglas Draw-#12 jct. Notes: Chenopodium berlandieri Moq., det. W. A. Weber, 1980. / Chenopodium berlandieri Moq., det. Terrence Walters, June 1982. 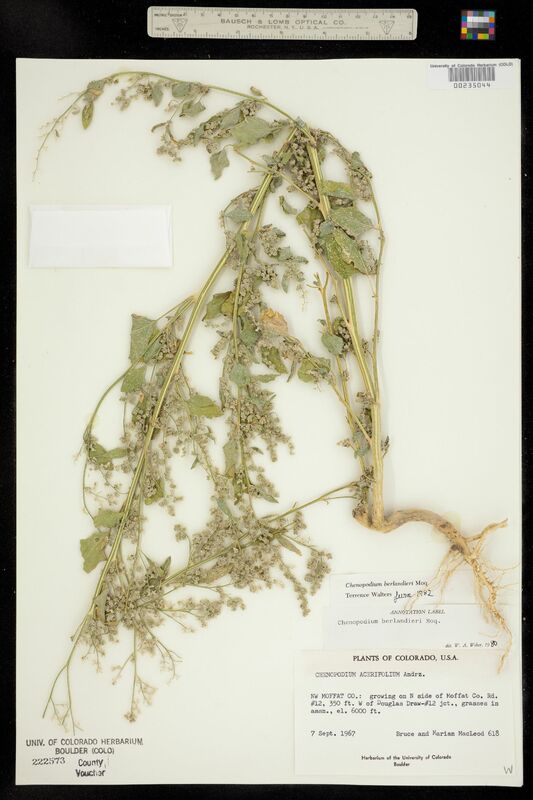 Original ID as Chenopodium acerifolium Andrz.